According to Freddie Mac, January clocked in with an average mortgage rate of 4.46%, a monthly average not seen since early 2018. Considering many economists predicted rates would climb for much of this year — eventually surpassing 5% — the welcome change has spurred on-the-fence buyers and refinancers into action. At the start of the year, refinance applications jumped 23%, and the demand for purchase loans is 6% above its long-run average, according to the Mortgage Bankers Association. Realtor.com data also shows that price cuts are up by 2%. In total, 39 of the 50 largest metros saw a jump in price cuts during January, with Las Vegas taking the lead. Still, it’s not time to rejoice just yet. Though the market is certainly shifting, it hasn’t completely reversed course from last year’s hot sellers’ market. One sign that the market hasn’t quite turned yet? Home prices are still rising. 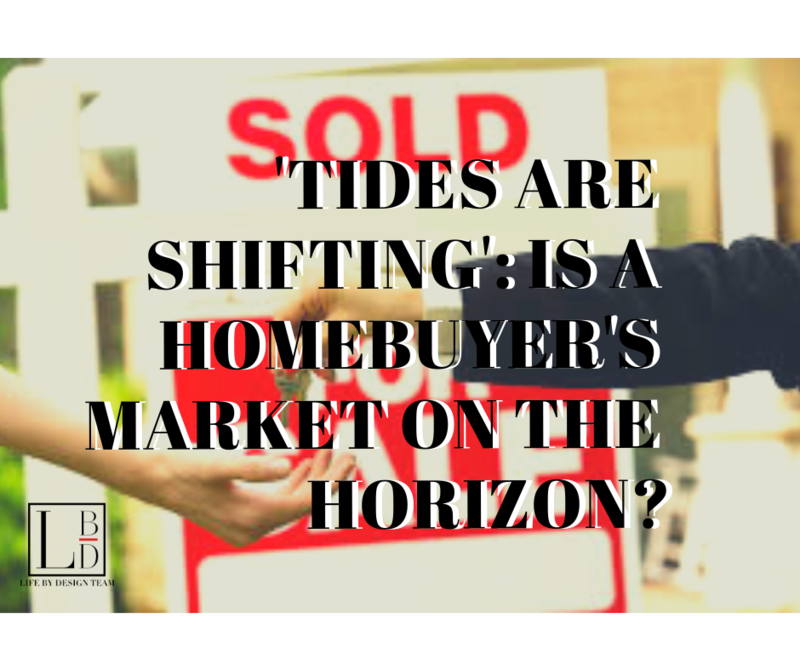 Though they’re increasing at a slower clip than in previous years, they’re rising nonetheless, and with the hot spring buying market nearly upon us, buyers can expect more increases on the horizon. But price is only a number, and factoring in income and other economic data, housing isn’t as unaffordable is it may seem on its face. According to the most recent Real House Price Index from First American, consumer homebuying power is twice what it was in 2000, and “real” home prices — which are adjusted for household incomes and mortgage rates — are 36% below their peak during the 2006 housing boom. They’re also 9% lower than they were in 2000. Mark Fleming, First American’s chief economist, expects that buying power to only increase in the coming months. But how long will buying power keep rising? And how quickly do buyers need to act to take advantage of it? According to Fleming, it all depends on mortgage rates. Though not all economists are expecting a decrease in rates, most aren’t seeing any big hikes in the near-term. Sean Hundtofte, chief economist and head of credit risk at Better Mortgage, expects rates to “stay more or less at current levels,” while Tendayi Kapfidze, LendingTree’s chief economist, says it largely depends on the labor market and politics. “If the labor market remains tight, we may see rates reflate back to Q4 levels, especially if there is resolution of the some of the political risks including trade, shutdown, debt ceiling and the special prosecutor,” he said. Still, reaching those Q4 rates wouldn’t be the worst thing U.S. buyers have seen in recent years. Q4 closed out at a rate of 4.64%, higher than the start of 2018, but not the year’s peak by any means. At the end of the day, predictions are only that, and economists warn buyers about focusing too much on anticipated price changes or rate hikes when making a purchase decision.